We’re happy to reveal that Event Genius & Ticket Arena have been shortlisted for ‘Best Ticketing Company’ and ‘Best use of Technology’ at the 2018 Event Production Awards. Announced today, the shortlists were selected by a panel of industry experts for work carried out in the qualification period (November 2016 – October 2017) and caps a successful year in which we made huge strides. Over 2017 we have become the leading provider of RFID cashless payments to UK festivals, and the only one to integrate ticketing and access control as part of an end-to-end service. It’s a service that has been recognised as in the ‘Best use of Technology’ category for our work at El Dorado Festival. Alongside this work, we’ve also, launched several new services and solutions, including: a brand-new Ticket Arena website, virtual upselling options, payment of ticket sales within 2 business days and numerous other quality of life improvements for our customers and clients.  It is the sum both advancements which has been recognised by our inclusion in the ‘Best Ticketing Company’ category. The full shortlist can be seen here and the winners will be revealed The Novotel London West, on 28th February 2018.